This post is a substitute for the Off Topic pages M_Themis created for us, which is currently glitching. USD is NOT to be used as a CHAT under any circumstances! Due to popular demand and glitching of the extra pages, I have created these daily Off Topic pages for you all to comment on. Please do not mistake this for a place where you can talk about anything. You are allowed to go off topic now but it must be strictly Stardoll related. Any comments indicating otherwise will immediately be removed by myself or another MOD. *Sales and bazaar's with your Stardoll username included so those who wish to contact you can do so in your Guestbook rather than here as it floods comments. *Wishlist collages with your Stardoll username for the same reason above. 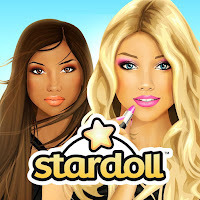 *General questions regarding Stardoll. For example, the value of an item, the season of a collection, the year an item was released, the history of a store etc. Just a quick heads up, please remember that here at USD we abide by the One Stop Rules put forward by Stardoll, so the same rules apply here too. Remember that all items should not be sold for any more than 600 sd (for items which the tag is in stardollars) and 600sc (for items which tag is in starcoins), as it is breaking the rules. *Vote requests for CG, NCG, YB, SCENERY, etc. There's no need to comment when done, but rather upvote the comment to alert the person that you have done so. suggestion on how to improve an outfit that is welcome, all based upon the commenters requests of course. *Mention the name of a person who is having a 2sd/ sc sale. However, please do not flood the comments section with your purchases from the sale as it is coming off as bragging. *Gossip or post negative comments towards other dolls. This is bullying and it will not be tolerated here. *Have discussions about anything that is not Stardoll related. All non related comments will be deleted once spotted by a MOD and if this is repeated in the future it may lead to you being banned from USD. *Swear or use insulting words and or slangs with bad meaning in any language. *Have fights or arguments with one another. Again, if you continue to do so you may be banned. *Shame or discriminate against anyone in any way, regardless of their gender, sexual orientation, preferences, taste etc. *Make contests or competitions as this will lead to several replies and it will lag the page. *Post pictures with inappropriate content or foul language. *Make comments with a sexual, racist or drug reference (even if it is subliminal). Reminder: Anybody who breaks these rules will firstly have their comments removed and if they repeat the actions several more times after being warned, they will be at a risk of being banned from commenting on USD.